The Air Force Corrosion Technical Interchange Meeting took place April 9th through 11th at the Robins Museum of Aviation in Warner Robins, Georgia. MILSPRAY had the opportunity to exhibit some of their Touch-Up Paint products, and collateral for corrosion prevention. Below are a few images from the event. Categories: AGE, Air Foce, Corrosion Control, Department of Defense, Military | Tags: Air Force, Corrosion, Corrosion Prevention, DoD, Military, USAF | Permalink. Aerospace Ground Equipment (AGE) is used by the Air Force to support air and space vehicles. Today for #TransformationThursday we have before and after photos of the restoration of a FL-1D Light Cart. Call Today (732) 886-2223 or email sheronschley@milspray.com today for more information! Categories: Aerospace Ground Equipment, AGE, Corrosion, Corrosion Control, New Jersey, Powder Coating | Tags: Aerospace Ground Equipment, AGE, Air Force, Corrosion, Corrosion Control, Corrosion Prevention | Permalink. Today marks the 17th year since America was attacked on September 11, 2001. 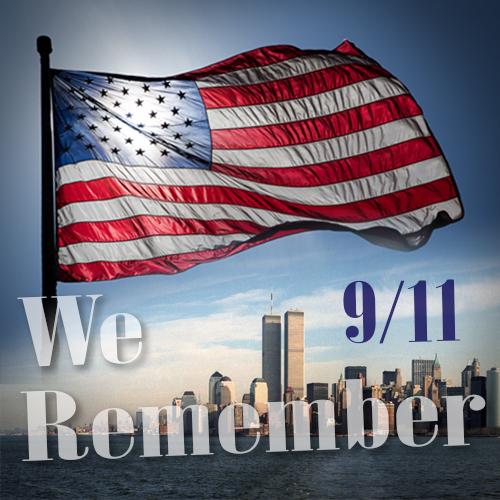 The entire MILSPRAY® staff would like to reaffirm that the Americans who had lost their lives and the members of our military who have died protecting our country since that day, will never be forgotten. Categories: Air Foce, Military, Navy, Police, US Army | Tags: Air Force, Army, Marines, Military, Police | Permalink. MILSPRAY® is pleased to announce that as part of our growth initiative, we have hired a new CEO, Mr. Michael Fraser. Mr. Fraser is a seasoned P&L and growth executive with over 25 years of professional experience serving defense clients and 20 years with the US Air Force. Mike holds a B.A. in Business Management from the University of Laverne and an M.S. in Systems Management from the University of Southern California. Mike has a well-balanced background working in various sized companies, in similar markets. Mike has significant experience in growing businesses with an emphasis on team work, partnering and customer relationships. He has a history of leading highly engaged teams, which fits well into our strong and positive culture. Please join us in welcoming Mr. Michael Fraser to our team! Categories: Air Foce, Leadership, Military | Tags: Air Force, Leadership, MILSPRAY, MILSPRAY Annoucement, MILSPRAY CEO | Permalink. MILSPRAY® wishes you and your family a Happy Flag Day. Categories: Air Foce, Coast Guard, Marines, Military, Navy, US Army | Tags: Air Force, Army, Coast Guard, Marines, Military, Navy | Permalink. Aerospace Ground Equipment (AGE) is used by the Air Force to support air and space vehicles. Today for #TransformationThursday we have before and after photos of the restoration of two FL-1D Light Carts. Call Today (732) 886-2223 or email brianscarpulla@milspray.com today for more information! Categories: Aerospace Ground Equipment, Air Foce, Corrosion Control, Military | Tags: Aerospace Ground Equipment, Air Force, Corrosion Prevention, Military | Permalink. Today for Tough Coat Tuesday, we feature specialized pick-up trucks for the United States Air Force. Over the coming weeks, MILSPRAY® will be applying our spray-on Bed Liner, Tough Coat™, on nearly two-dozen of these specialized vehicles. For your viewing pleasure, take a look at the gallery below of the first set of vehicles that have already been serviced. Tough Coat™ is the official Spray-On Bed Liner for the United States Marines and now you can have it on your vehicle too. Call (856) 296-0334 or email marylaverty@milspray.com today! Categories: Air Foce, Bed Liner, Spray-In Bedliner, Spray-On Bedliner, Tough Coat | Tags: Air Force, Bed Liner, New Jersey, Pickup Truck | Permalink.